Money management demands essential attention, especially you wanted to take part in sports betting. The sports gambling game is an expensive task to deal with and that you do not only go out and partake in any sporting event if you do not have enough money stored in your bankroll. A lot of bettors are also struggling when it comes to managing their money efficiently. In line with sports betting, one of the most expensive types of sports you can bet is horse racing. In fact, it’s the Triple Crown season which will kick-off in less than 30 days. This is the most famous horse racing in the United States graced by hundreds and thousands of sports fans all over the world. The Triple Crown Series is composed of three major horse racing legs which are the Kentucky Derby, Preakness Stakes, and Belmont Stakes. 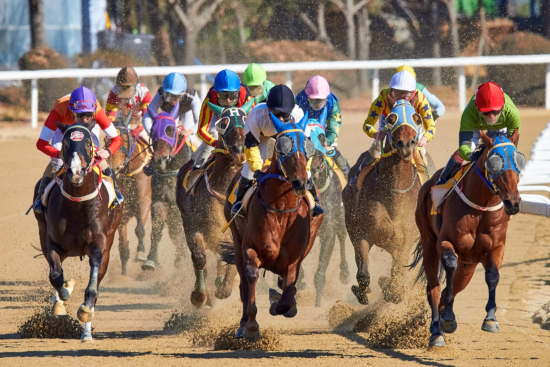 While you’re bags and list of bets are already pack and prepared for both Kentucky Derby and Preakness Stakes, you might still have a chance to change your game plan if you want to bet for the Belmont Stakes. To be honest, the Belmont Stakes deems the most thrilling betting game because it is the conclusion of the Triple Crown Series and it is where the Triple Crown winner will be identified. At the same time, the size of the betting value in the Belmont Stakes betting because they come in big prizes. So, if you decide to compete in a profitable Belmont Stakes betting, here are the things you need to take note when can you increase or decrease your bet size. To be honest, each professional bettor has its own way of managing their money and placing the amount for their bets. In most cases, it may work, but for some casual bettors, finding the right size of bets continues to be a challenge for them. As a better you might have enough or spare money you can bet for Belmont Stakes; however, if you do not know the right size for each bet you want to place, you may still end up broke. That’s why you have to take a look at these following situations where you can ultimately increase your bet size. First, you are betting too less and you don’t care if you win or lose. If you find yourself in a situation where you are betting a less amount of money and yet you don’t put too much attention whether you lose then you might want to consider increasing your bet. This will pave a more handicapping hard work for you in the sense that you will put more attention as to how much you are going to bet and how much you will be earning or losing. Second, it is where you find yourself that you have been betting successfully and yet you are still not meeting your goals. Ideally, experts bettors, especially in Belmont Stakes betting, set specific goals for the amount they would like to earn when betting. These goals are based on the odds set and belmont stakes betting. So, if you are experiencing a hot streak and has been solid in winning, you want to increase your bet size after you set your goals until such a time you achieve it. Lastly, if you can sense that your winning percentage comes higher more than your predictions. This can be measured by accumulating the situations stated above. If you feel that you have a good amount in your bankroll, you are meeting your goals and earning more than what you expect. Typically, it’s not increasing the value to the highest possible amount you can reach, but it should be done gradually. While increasing the value of bet as soon as you partake in Belmont Stakes, it is also important you might consider decreasing it if you find yourself to these following situations. First, if you are making nervous and not sure bets. It’s undeniable that placing a bet especially in the Belmont Stakes, you tend to be confused and at the same time feel doubtful if you are going to win or not. Sometimes, you feel nervous because you might think that your entry might not be able to make it. If you feel this way, you need to decide in reducing the amount of your bet to avoid putting your bank account in jeopardy. Furthermore, if you also feel that you are not meeting your expectations. This is more likely to get out of the woods of a losing streak. It means that if you are putting too much amount on your bets and in the long run you haven’t gained any profit, you might want to consider cutting the amount by the time you place your bet and at the same time change your betting strategy. This entry was posted on Monday, April 15th, 2019 at 11:04 pm	and is filed under Horse Racing. You can follow any responses to this entry through the RSS 2.0 feed. Both comments and pings are currently closed.